Every Christmas, since medieval times, towns and cities across Germany come alive with the sights, sounds and smells of Christmas. 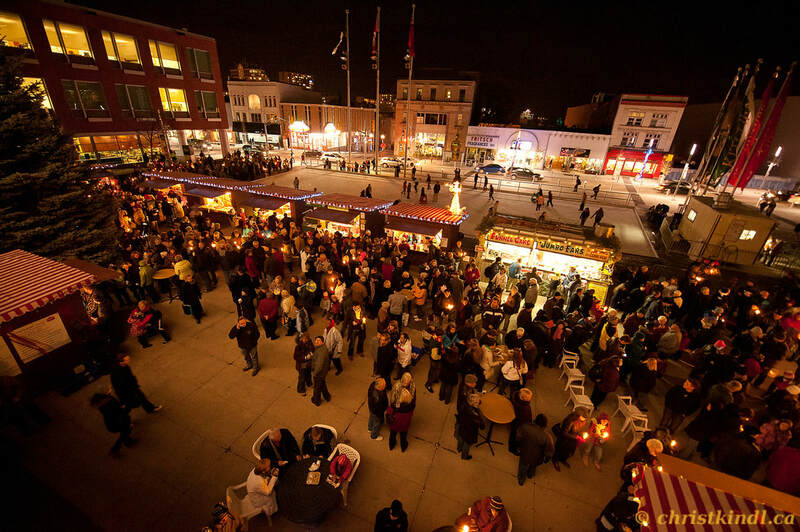 Kitchener City Hall is home to Canada's original Christkindl Market - since 1997 and once again it has been awarded "Top 100 Festivals & Events in Ontario." 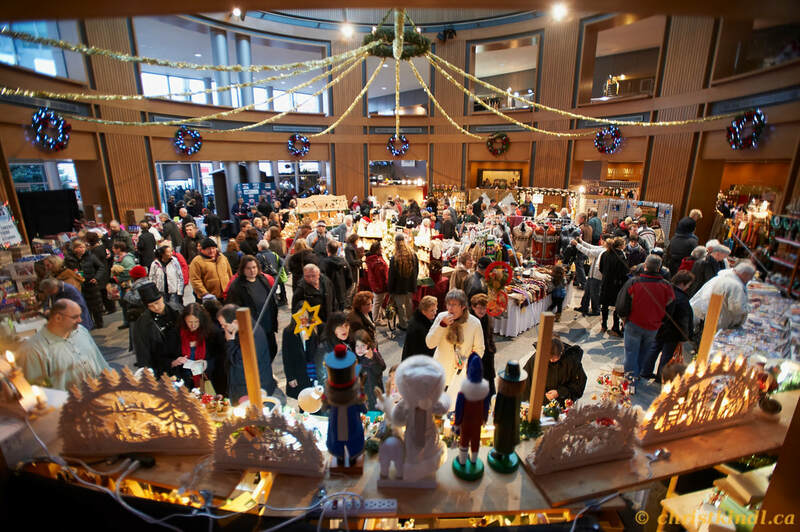 Shop outside and inside from 90 vendors while you listen to choirs, bands and dance groups. Take in the train room, blacksmith demonstrations, live nativity and visit with the folkloric characters. Don't forget to enjoy Gluhwein, sweet and savoury Christmas foods to eat or take home or wrap up for gift giving. Our day also includes an elegant "High Tea" experience as well as a visit to the St. Jacobs Farmers' Market. Round trip transportation on deluxe bus with washroom & WiFi. Visit to ChristKindl German Christmas Market in Kitchener. Visit to St. Jacobs Farmers' Market. Elegant afternoon high tea experience with assortment of loose leaf teas, finger sandwiches, pastries, scones and authentic Devon cream. Complimentary bottled water & snacks on the bus. Escorted trip with ShortTrips.ca Tour Director accompanying the trip. For more information about a pickup location, please click on it's name in the list below. 11:10 AM - Toronto - York Mills Stn. Prices are per person, in Canadian dollars. Tips are included! 100% full refund if you cancel at least 14 days before the trip departure date. Sorry but no refunds if cancellation is received less then 14 days before trip departure date. Christkindl Market offers a one-of-a kind holiday shopping experience and in celebration of its 22nd Anniversary, it has expanded to more than 90 food and gift vendors – many of whom are clustered within tiny huts in Civic Square. Grab a bratwurst, schnitzel or pretzel and stroll the Square to find unique, European-themed gifts and decorations you won’t find in a chain store. Like the outdoor markets in Germany, the irresistible smells of fresh baked pastries, traditional mulled Glühwein and stick-to-your-ribs German cuisine cooked outside in the open air will have you drooling. And if you feel up to it, join in the opening ceremonies, enjoy the re-enactment of the poem by T. Storm of Knecht Ruprecht (the one who knows ‘if you’ve been bad or good’) followed by the opening prologue by Christkindl and her two angels from the balcony of Kitchener City Hall. Then the official lighting of the Christmas tree and the Square. Members of the Grand Philharmonic Choir sing the Hallelujah Chorus from the balcony. It might be called "high tea" but for those who have not experienced the relaxing and sublime joy of a traditional English high tea, you're in for a lovely experience. Loose Leaf Tea, Tea, Coffee, or Juice. Selection of finger sandwiches: Egg Salad, English Cucumber & Cream Cheese, Chicken Salad, Tomato Basil and Cheddar. Assortment of divine sweets: Locally Sourced Macarons, Chocolate Dipped Strawberries, Profiteroles, Lemon Squares, Mini Cakes. We highly recommend that you not try do any calorie counting during this experience! 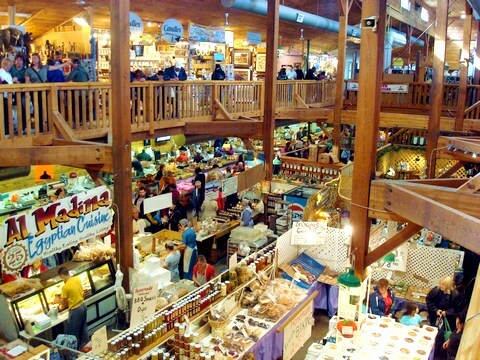 St. Jacobs Farmers’ Market & Flea Market is said to be Canada’s largest farmers market with over 500 vendors. You'll find fresh fruits and vegetables, meats, cheese, baking of every description, crafts galore, plus local "delicacies" like sausage, apple fritters and pure maple syrup. You'll also find home-grown produce brought from local Mennonite farms by horse and buggy. If brand name shopping is more your pleasure, The St. Jacobs Outlets Mall is right next door as is the Market Road Antiques for those of you who are thrilled by old treasures.